Mr Haak’s Senior-level Civics classes spent a couple of days last week playing cards!!!! It was not a game you’ve heard of, though! 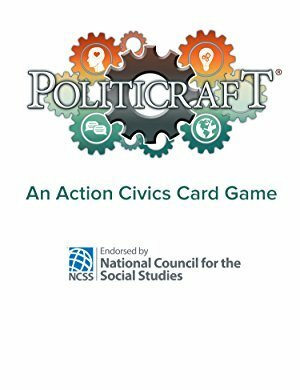 The game is called Politicraft and it simulates Civic Engagement, or being involved in trying to better the world around us. Civic Engagement is the current ‘Big Idea’ under study. For the game, each student selected an issue to promote (ranging from getting new parks in their town to saving wildlife to reducing global warming). As they played, each card gave the student an event or technique that could help them in pursuit of their social goal. The real work started there….the student would have to take that event and ‘add the narrative’ by sharing details with the other players about just how they would use the opportunity. Cards rewarded the players with varying ‘social impact’ points that determined the ultimate winner. A unique group of cards also represented ‘integrity,’ and players could gain (yay!) or lose (boo!) integrity based on the way they treat others throughout the game. Politicraft was engaging for virtually every student. All seemed to enjoy it and to learn much about the processes of becoming civically engaged and working toward a social goal. The Civics course is about being a good citizen and helping the community around us. Politicraft is a masterful simulation of doing just that. Watch the video to hear from some of the students.